Home / Property / Listing / Retina pins. Pins not showing on the map on retina devices. Retina pins. Pins not showing on the map on retina devices. Starting version 1.17 you can add also retina images for property pins. 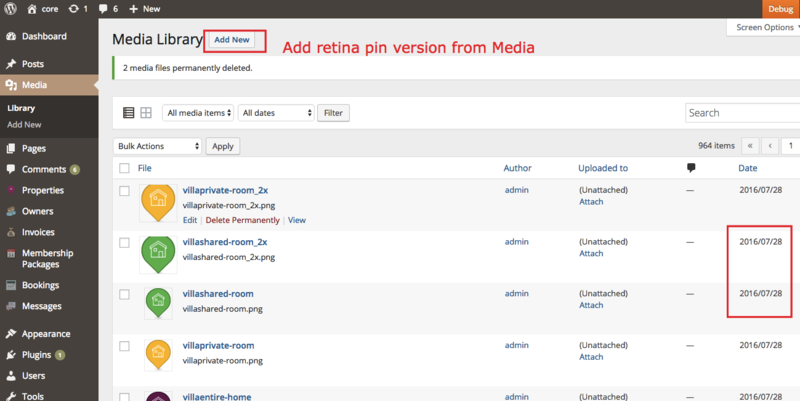 If you add custom new pins for edited/new categories or actions from theme options you’ll have to add the retina version of your pins via wp-admin – media – add image in the same month as the non retina version. 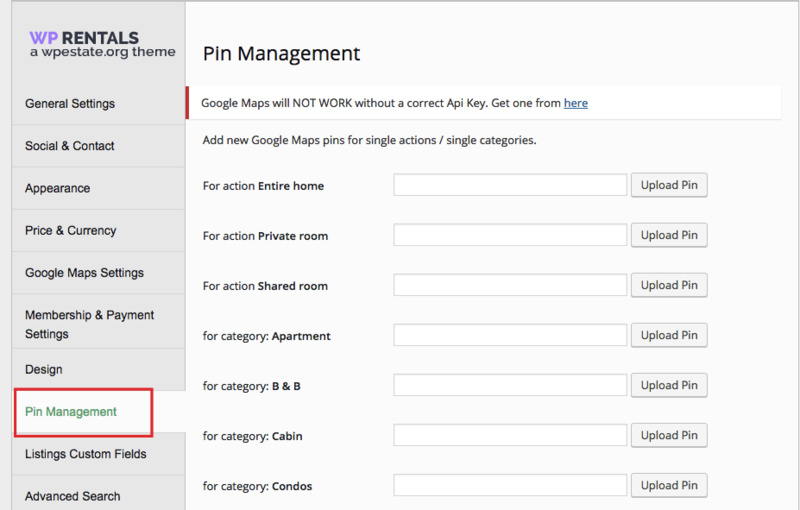 NOTE: demo pins have the width/height set in Google Maps API code. Your images should be 44*50 px.